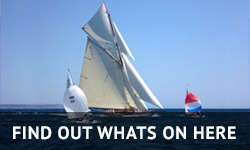 This year’s fleet is made up of a selection of incredibly varied yachts. For example, we’ll be able to see new entrants so fresh their paint’s practically still wet (like the previously mentioned 34m Ribelle). These newbies are anxious to get on the start line and prove their regatta-winning potential. However, aside from newcomers, the line-up also sees a myriad of yachts that have served many years on the circuit and have proven blue water credentials. The 32m Frers designed Bolero competed for the last time in 2010. We’re thrilled to be able to see her blue lines slice through the race course this year. 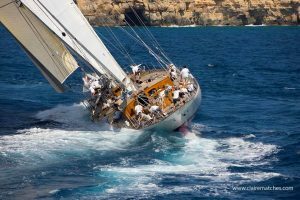 We’re also excited to see the 42m This is Us and her spirited crew return, this steadfast entrant competed in no less than three previous editions: 2011, 2012 and 2014. As the 2011 fleet boasted ten yachts graced with Andre Hoek‘s distinctly elegant lines this edition featured a dedicated Hoek Class, in which This is Us finished third. Another former competitor and delicious example of Dutch boat-building expertise is the 46m Windrose of Amsterdam. This award-winning schooner has been out of the racing scene for a while; she competed for the last time in 2009. With her classic lines and the crew’s sailing savvy she’ll be amped to show her adversaries what she’s made of. We can’t wait. Pendennis has long been a supporter and sponsor of The Superyacht Cup and will continue as a premium sponsor of the regatta this year. Set to celebrate its 30th anniversary in 2018, Pendennis is a leader in the build and refit of custom superyachts. With a ten acre site in Falmouth, Cornwall, a technical refit office and workshop in Palma and a comprehensive global fleet support network, the company offers facilities and expertise that rivals the world’s best. 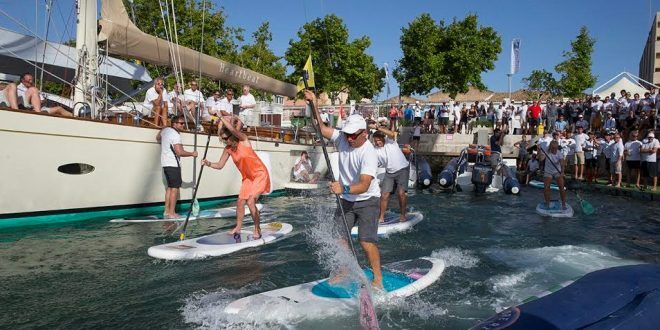 We’re also pleased to announce that this year’s Superyacht Cup will see a repeat of the Pendennis Paddleboard Challenge that the prestigious yacht builders hosted last year. Sailors that experienced our 2016 event will surely remember the roaring crowd and dock-side cheers which accompanied this paddle-powered relay-race. Silver sponsors Ship Motion Group are the brains behind the 33m Win Win and the 45m Visione’s speed enhancing Retractable Propulsion Systems. Not only did wild-card Win Win take home the trophy last year, she recently proved her sailing prowess anew by winning the St Barths Bucket regatta. Visione, a SYC regular also built by the carbon composite crackerjacks at Baltic Yachts, finished a not-so-shabby second. Ship Motion‘s Retractable Propulsion Systems reduces propeller drag and time and again show for an improved sailing performance. Reckmann, a family business also passionate about performance enhancement, are celebrating their 125th anniversary this year. The company, now in its third generation under the Schuldt family, have been innovators in the world of sailing since 1892. Reckmann, renown for their cutting-edge mast and furling systems, boast a rich and fascinating history. 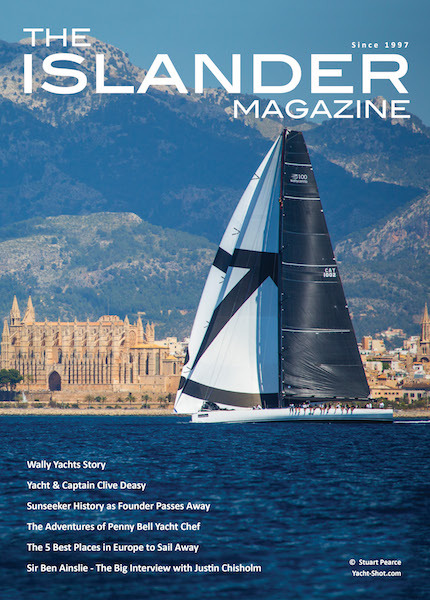 It involves Olympic champions, Admirals Cup, and Whitbread Round the World Race winners, as well as some of the world’s largest and most legendary sailing superyachts, like the 33m Inouï, a regular on the SYC race course, and the 52m Elfje, built by Royal Huisman and designed by Hoek. Reckmann will be sponsoring the regatta for the 12th consecutive time! A first-time sponsor, who we’re very proud to welcome to the regatta this year, is VHR (Virtual Human Resources), a technical recruitment consultancy specialized in the Superyacht, Formula 1, Aerospace, Aviation and Defense industries. Their talented recruitment teams excel in the sourcing of designers, engineers, project managers and technicians -whether for a competitive race yacht, luxury superyacht or Formula 1 car. With a global network across the aforementioned industries, VHR provides temporary and permanent recruitment, as well as logistics, tax and payroll solutions to satisfied clients in all corners of the globe.